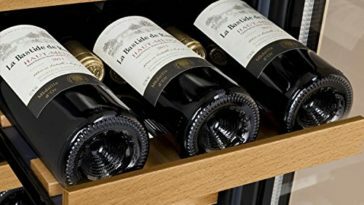 As a lover of wine, you probably want to invest in a storage option that can keep the different types of wine you own and that can maintain the quality of your beverages. 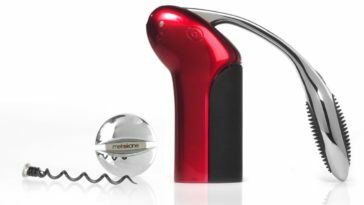 It is important to have an efficient storage place that helps you feel confident that your wine is properly cared for. 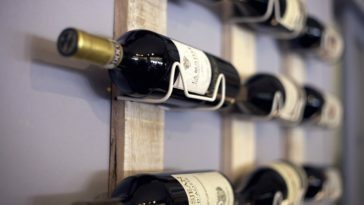 If you wish to evaluate storage options that can store both red and white wines at the appropriate temperatures, continue to read this article to see what options you may have. A dual zone wine cooler can help keep your wines at the most desirable service temperatures and may even be suitable for storage purposes. 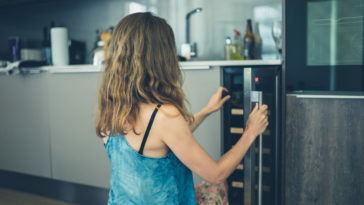 It is possible to find a dual zone wine fridge that can keep wines stored at manageable storage temperatures and that can keep wines at desirable serving temperatures. 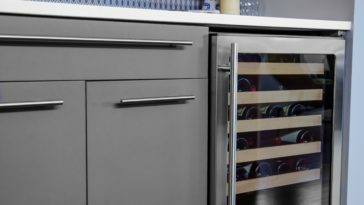 If you want to invest in a wine storage option that can prepare you to serve wines at their optimal service temperatures, a dual zone wine fridge is an option that can provide a great deal of convenience. 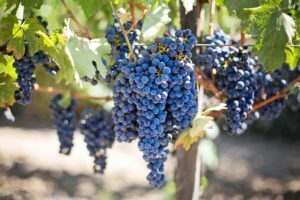 Wines are complex creations made of thousands of components which are constantly reacting to each other. This complexity is important to maintain. A dual zone wine cooler can help nurture the aging complexity of wines without compromising the chemicals and ingredients involved. 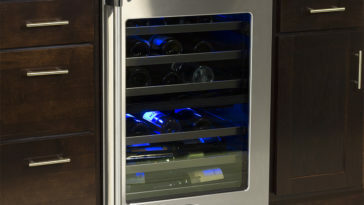 This article can help you determine what kind of dual zone wine fridge you may want. A wine cooler meant primarily for storage purposes is meant to keep wines at an ideal temperature (53-57 degrees). 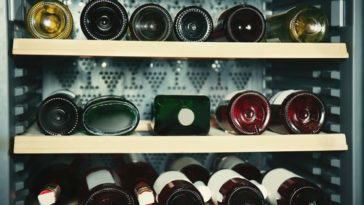 There are exceptions, but wines are typically stored at a single temperature. 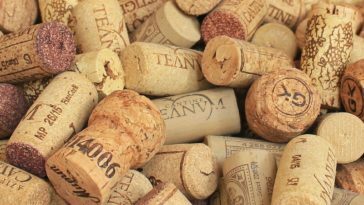 This can help prevent wines from aging too quickly. Temperatures play a critical role in the quality and taste of wine. 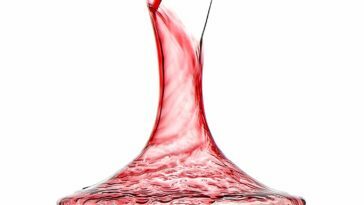 Chilling a type of wine for too long can compromise the flavors, and heating wine can make it unpalatable. Storing wines at moderate, reasonable temperatures is important for the longevity of wine. However, a dual zone wine cooler can keep different wines stored at varying service temperatures. For this reason, single temperature coolers are not as good of an option for those who want dual zone wine coolers that can both store wines and prepare them for serving. 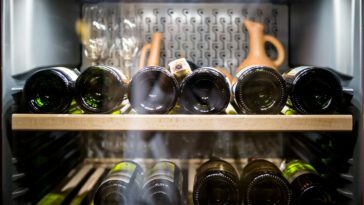 While wines generally should be stored long term at a temperature between 53 and 57 degrees, different wines should be served at temperatures that favor their unique flavors. White wines should be served at temperatures between 45-52 degrees and red wines should be served at temperatures between 58 to 65 degrees. 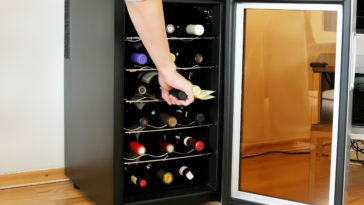 A dual zone wine fridge permits you to store both red and white wines at their two best different service temperatures. Dual zone wine coolers tend to be efficient storage choices because they can keep multiple options together in one space. Red wine can be kept in one region in the space and white wines may be located on the other side. A dual zone wine fridge can also free up storage space in your household refrigerator and prevent cumbersome buildups. Some wine coolers can store alcohols in multiple zones. Please take a look at the products listed below to see different dual zone wine fridges and what you may wish to consider when making a purchase for storing your wines. Below are three dual zone wine coolers that can help you start off your search. 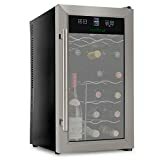 This dual zone wine cooler can be purchased as a stainless steel cooler and has LCD digital touch controls. 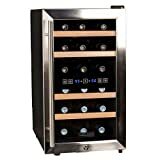 This freestanding dual zone wine cooler comes in three different sizes: an eighteen-bottle wine cooler, an eighteen-bottle wine cooler made of stainless steel, and a 24-bottle cooler. This dual zone wine cooler has vertical shelves in the inside that allows opened bottles to be stored upright. 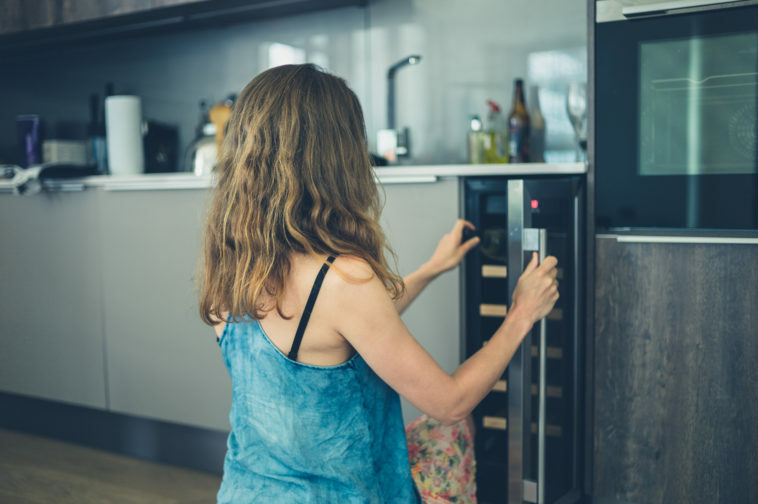 This dual zone wine fridge is made with state-of-the-art technology that allows you to maintain total control over the temperature of the inside compartments. This particular dual zone wine fridge is fashionable and up-to-date, which means that it will look good in most environments. The cooler has digital touch button controls, which are simple to use and allow you to set the temperature to whatever you desire. The appliance is generally quiet and will not cause unwanted chaos in your environment. This dual zone wine fridge also displays temperatures in both Fahrenheit and in Celcius. The temperature units can be adjusted to whichever unit is most desired. In general, the product is easy to use and simple to maintain. However, the verticle shelf located inside the cooler may be an obstacle for some, as this may not permit optimal storage for wine bottles. The temperature range is also relatively limited. 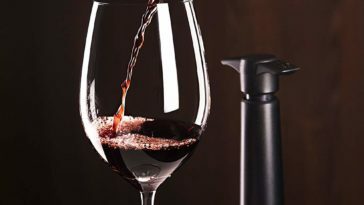 This may pose a problem for people who want their wines very cold or warmer than usual. The racks may also be hard to manage for bottles that are rather large. The racks for the bottles are sized for wines that do not strongly deviate from a general shape and size. 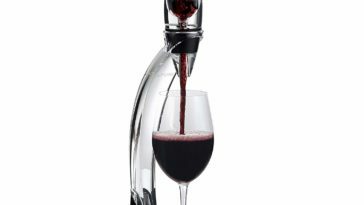 This may be an issue for people who want storage space for wine bottles that are big or unconventionally shaped. This is a stainless steel dual zone wine cooler that can store up to eighteen bottles of wine. The interior provides lighting that can highlight the bottles stored in the cooler. The dual zone wine cooler has a control panel with LCD temperature display for each zone. The cooler has a tempered glass door. It has a temperature range for both the top and lower zones: the top zone has a temperature range of 54 to 66 degrees and the lower zone has a range of 46 to 66 degrees. The shelves are designed for standard-sized 750 ml bottles with conventional shapes. 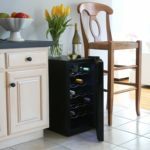 This dual zone wine cooler has a nice shape and can fit in most places in a kitchen area. It is also easy to use the provided temperature settings. The dual zone wine fridge is generally rather quiet; however, it may prove to be too distracting while playing a movie or trying to sleep. This dual zone wine fridge is an ideal size for someone who is beginning a wine collection. 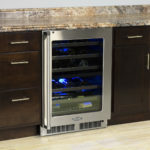 However, the size of the dual zone wine cooler may be too small for someone who has a more sizeable collection or who plans on serving several different wines to several guests. This dual zone wine fridge may also not be ideal for someone who wants to store large bottles or bottles that are longer than usual. Bottles with unconventional shapes may not fare well in this storage space. However, it is possible to create room in this dual zone wine fridge by removing a shelf from the inside. 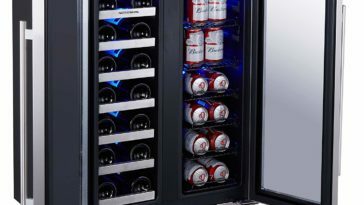 This dual zone wine fridge can come as an eighteen-bottle cooler or a 24-bottle cooler. 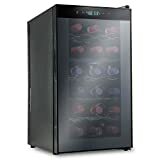 This particular dual zone wine cooler is very quiet for the first few weeks of use and could be an ideal option for those who want a cooler that won’t be disruptive to any other activities taking place. The temperature range is also rather wide; the lower zone has a range of 54-64 degrees and the higher shelves have a range of 46-64 degrees. The thermopane doors block out sunlight and UV rays that could compromise the quality of wines. The set-up is simple and straightforward. This is also a good dual zone wine fridge for those who may wish to store larger amounts of wine. However, the temperature is displayed in Celcius, which could be an issue for those who are accustomed to dealing with temperatures in Fahrenheit. The dual zone wine fridge may not fare well over time, as some customers who own this cooler have noted that it is very quiet for a while and then grows much louder over time. The dual zone wine fridge may grow more fragile and susceptible to problems after a year of use. The temperature zones may not be easy to control as the appliance gets older. In general, this dual zone wine fridge shows a great deal of promise for a set amount of time. It does not always seem to age well or work effectively after a year of use. Though both red and white wines are typically stored at the same temperature, red wines do not always need to be stored at the cool temperatures required for white wines. 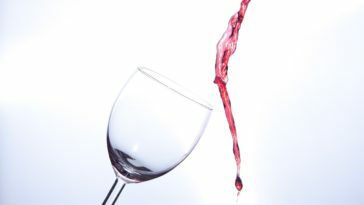 If you own a particularly strong red wine, it may benefit from being stored at a temperature somewhat above 55 degrees. When choosing a dual zone wine cooler, you may wish to examine the types of wines you own and compare them to the temperature settings available on the dual zone wine cooler you want. 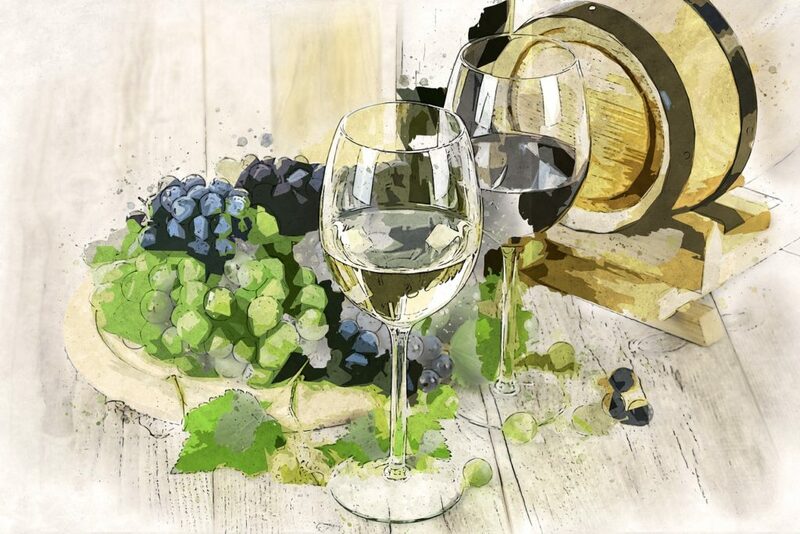 Chilling white wine will mute the natural fragrance and bring out the crisper flavors. Keeping red wines a little warmer can mute some of the acidic tones and highlight its sweetness. Dual zone wine coolers can make the maintenance of service temperatures a little simpler. If you are storing wines at the same temperature but wish to adjust the wines to service temperatures in time for pouring and serving, consider moving your desired bottles from the storage temperature to the serving temperature in your dual zone wine cooler half an hour before pouring. This will provide enough time for the bottles to achieve the best temperature. A dual zone wine fridge can both store the wines and prepare them for serving without you moving the bottles.